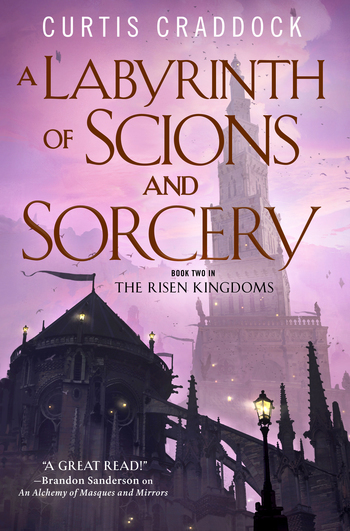 A Labyrinth of Scions and Sorcery is the masterful second novel in Curtis Craddock's critically-acclaimed high fantasy Risen Kingdoms series, continuing the engrossing tale of courtly intrigue and breathtaking magic, and starring our fiercely intelligent heroine Isabelle des Zephyrs with her loyal musketeer Jean-Claude. CURTIS CRADDOCK lives in Sterling, CO, where he teaches English to inmates in a state penitentiary. A Labyrinth of Scions and Sorcery is the second in The Risen Kingdoms trilogy, following his acclaimed debut An Alchemy of Masques and Mirrors.